Embrace brand new, adults-only haven on the beachfront in Fiji. 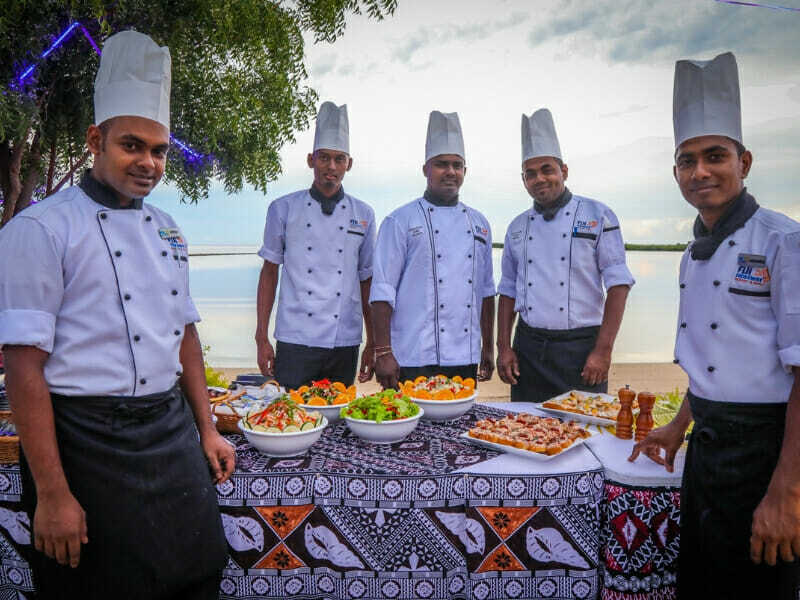 Fiji Hideaway Resort & Spa, Vuda opened its doors late in 2017 and has been charming the peaceful Heritage Coast ever since! Fiji Hideaway Resort & Spa, Vuda is equal parts peaceful, picturesque and culturally significant. 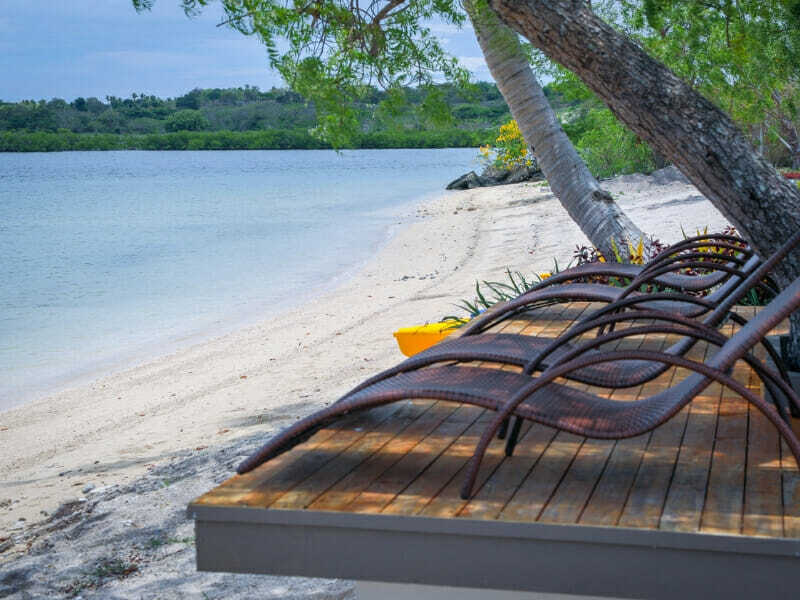 Set on the landing spot of the first Fijian settlers, this resort commands a prime beachfront position on the Heritage Coast, offering all guests private access to the Vuda Beach (pronounced Vunnda Beach). Wake daily to uninterrupted horizon views, wander straight off the shore to snorkel in clear, calm waters and embrace what can only be described as ultimate tropical holiday bliss! Fiji Hideaway Resort & Spa, Vuda boasts just 26 rooms and bures. This intimate occupancy number means that, no matter which room type you pick, you’ll be treated to warm and personalised Fijian service from the moment you check-in! Fiji Hideaway Resort & Spa, Vuda exudes relaxation. It is an adults-only (16+) property and the sister of renowned Coral Coast icon, Fiji Hideaway Resort & Spa. Enjoy the ultimate romantic retreat at this resort. All bures act as private havens, each with their own outdoor sitting area overlooking vibrant manicured gardens. Fall to sleep each night under high Fijian-style ceilings, rest easy in plush bedding and keep cool in air-conditioned comfort. 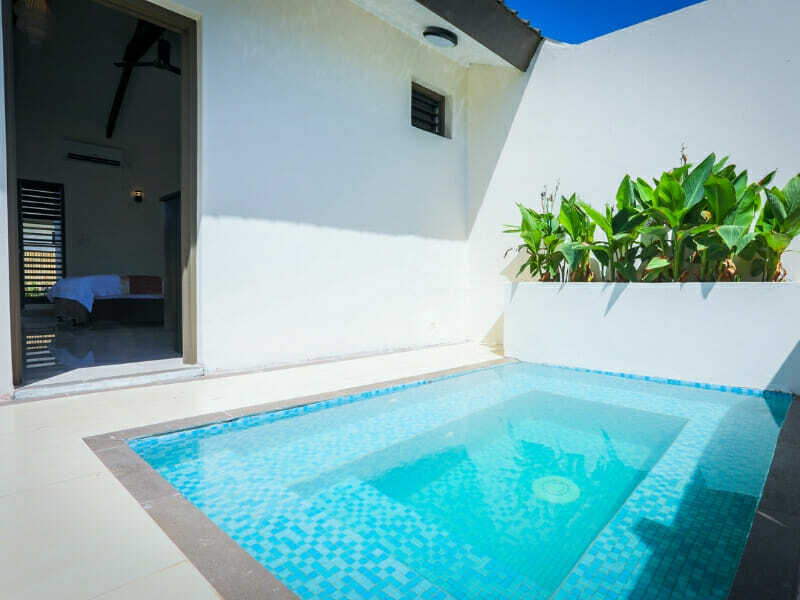 For the ultimate escape, book in to a bure with an indoor and outdoor shower or private plunge pool. Here, you can soak up the sun in absolute peace, working on your tan in your own secluded courtyard! Why Go to Fiji Hideaway Resort & Spa, Vuda? You’ll feel right at home at Fiji Hideaway Resort & Spa, Vuda. 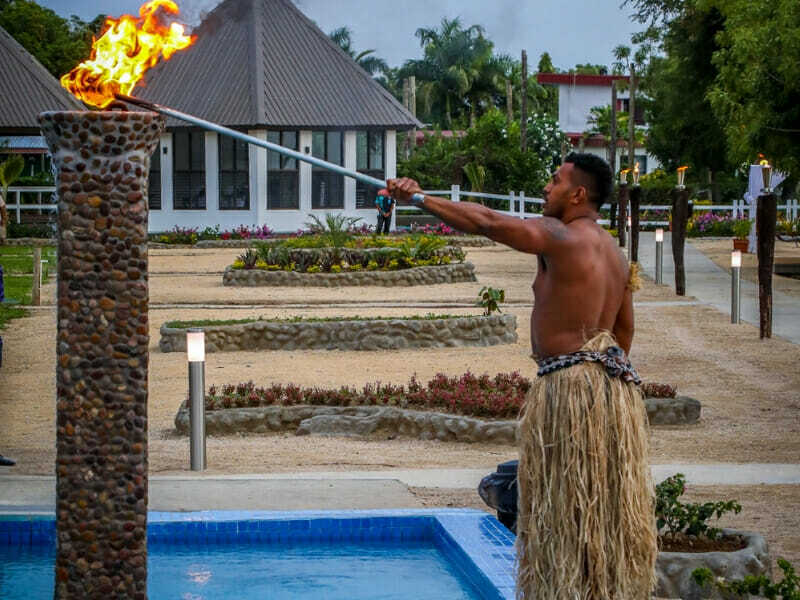 Arrive to a true Fijian greeting from warm and welcoming staff, spend your days enjoying ocean views as you enjoy the resort’s facilities or retreat to the privacy of your accommodation to embrace the surrounding peace! Start your mornings kayaking or paddling on the water, refuel with lunch at the restaurant, then spend the afternoon sipping drinks at the swim up pool bar! 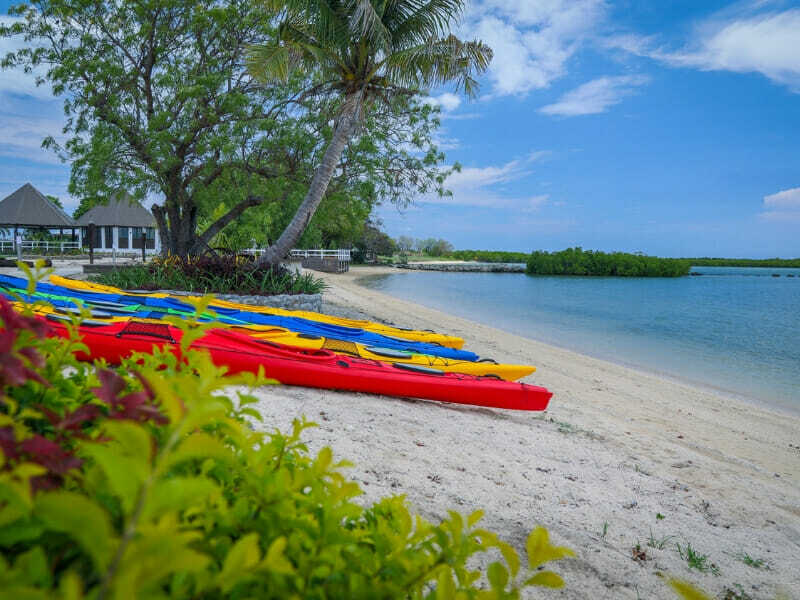 Fiji Hideaway Resort & Spa, Vuda boasts a day spa, wedding chapel and it is just 20-minutes from all the attractions of bustling Nadi and a few minutes away from the Vuda Point Marina for guests who want to fish, sail or cruise! Bask in tranquility in your Deluxe Suite. 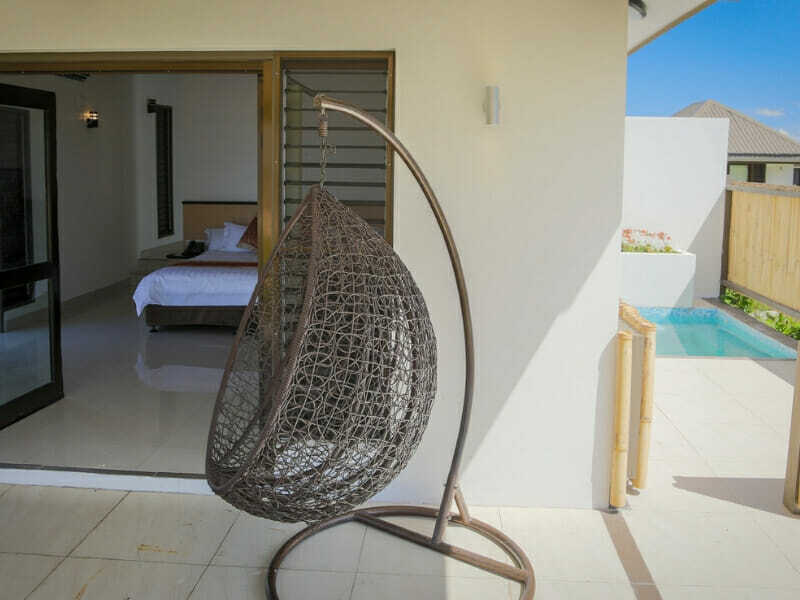 There are just 4 of these suites at the resort and each offer a generous amount of space and fresh, modern interiors. Deluxe Suites boast 1 King or 2 Single beds. They are ideal for solo travellers or couples—anyone looking for a tranquil, yet convenient base! Access WiFi, keep cool with the air-conditioning and enjoy the surrounding vibrant gardens, landscaped tastefully into rock-ringed garden beds just outside floor to ceiling windows. Maximum occupancy in a Deluxe Suite extends to up to 2 guests. Searching for glittering water and perfect horizon views? Wake up slowly in your Ocean Deluxe Suite, surrounded by modern amenities and wrapped in crisp white linen sheets. These suites offer easy access to the water, refreshing coastal breezes and views that could melt any water-lover’s heart! Choose between 1 King or 2 Single beds, keep cool in air-conditioned comfort, use the WiFi to contact home and so much more! 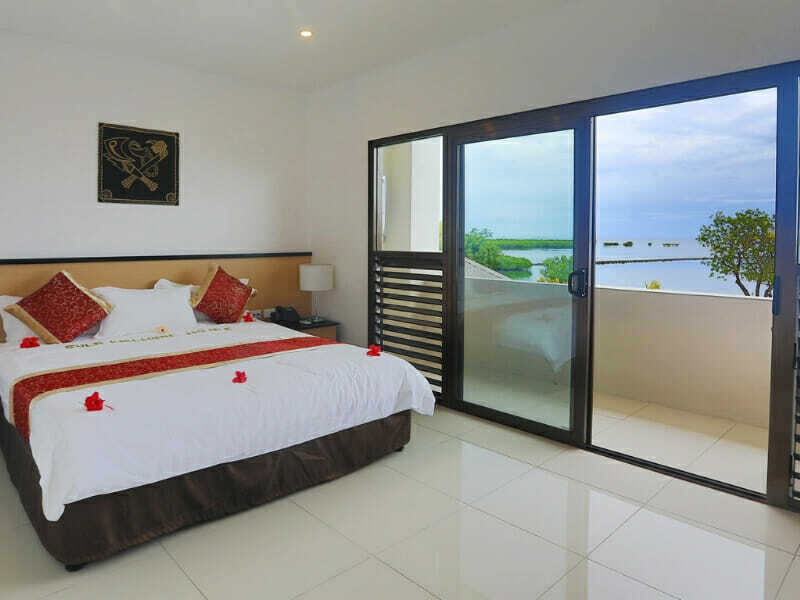 There are only 2 Ocean Deluxe Suites in the whole resort and each can accommodate up to 2 guests. Fiji Hideaway Resort & Spa, Vuda is set on the edge of Vuda Beach on Viti Levu’s peaceful Heritage Coast. 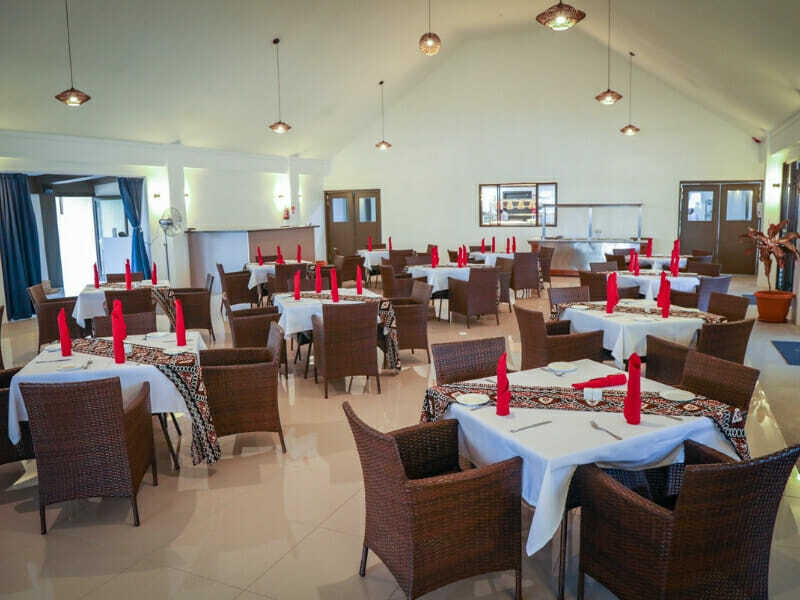 The resort is located halfway between the townships of Nadi and Lautoka making it equal parts peaceful retreat and convenient base! 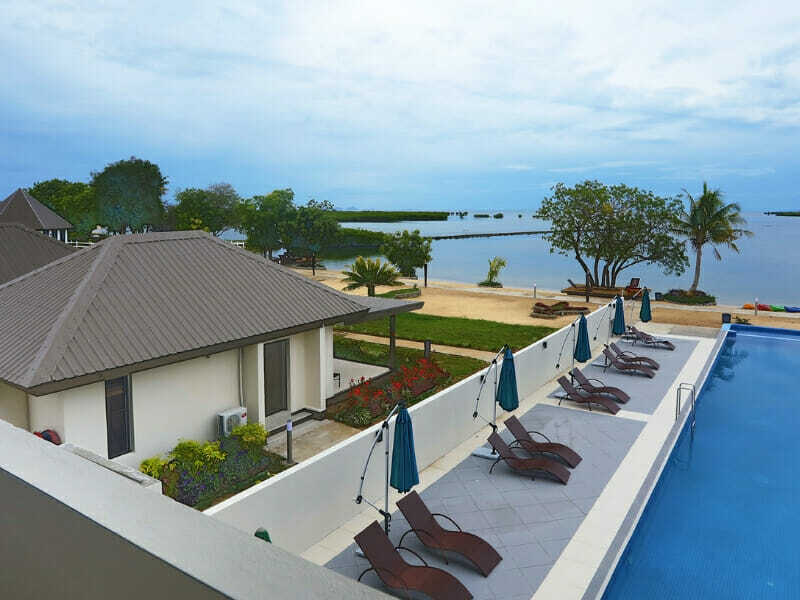 Getting there is easy, with Nadi International Airport just 20-minutes away, plus Vuda Point Marina is just a few minutes away for those eager to explore! 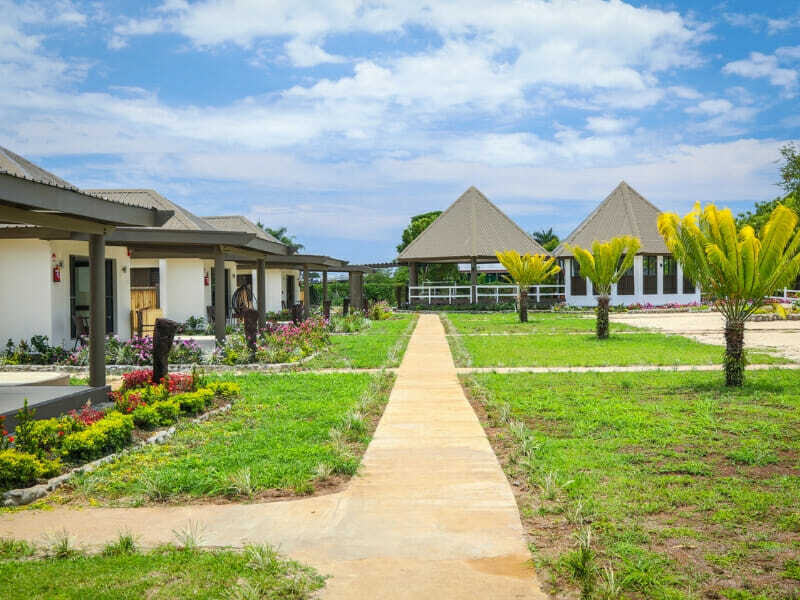 One of the best features of Fiji Hideaway Resort & Spa, Vuda is its location. 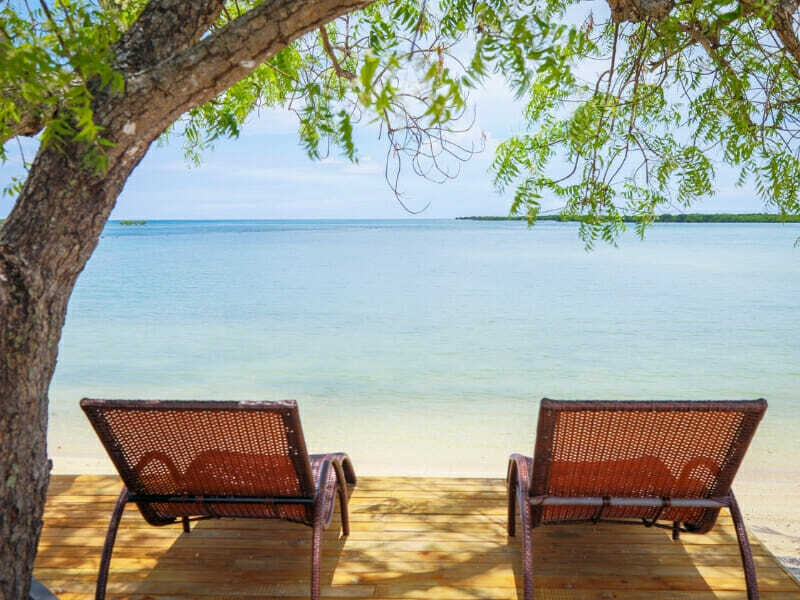 Set on the idyllic Vuda Beach, this resort is a great place for those searching for a sandy shore to unwind on or a vibrant coral reef to explore! It is also located just a few minutes away from Vuda Point Marina for those wanting to fish, sail or cruise. 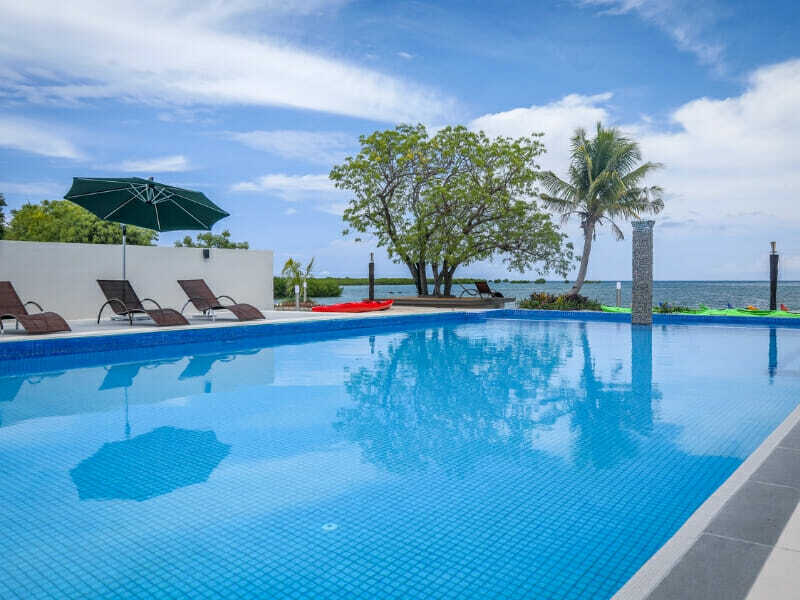 At the resort, spend your days at the swim up pool bar, indulging at the day spa, paddling over coral reefs or soaking up the sun on the private sandy shore. 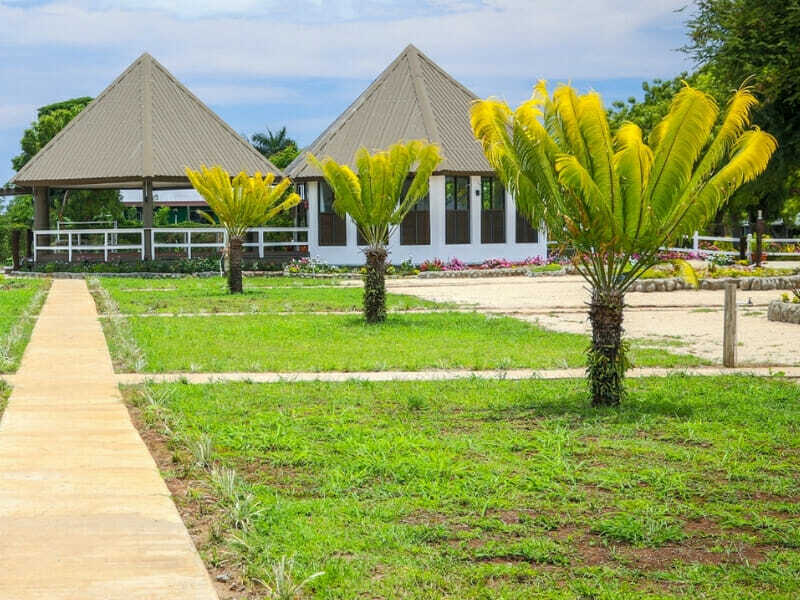 Dine at the restaurant and bar on site, wander through young yet vibrant tropical gardens, then retreat to the privacy of your suite or bure to embrace the area’s peace! 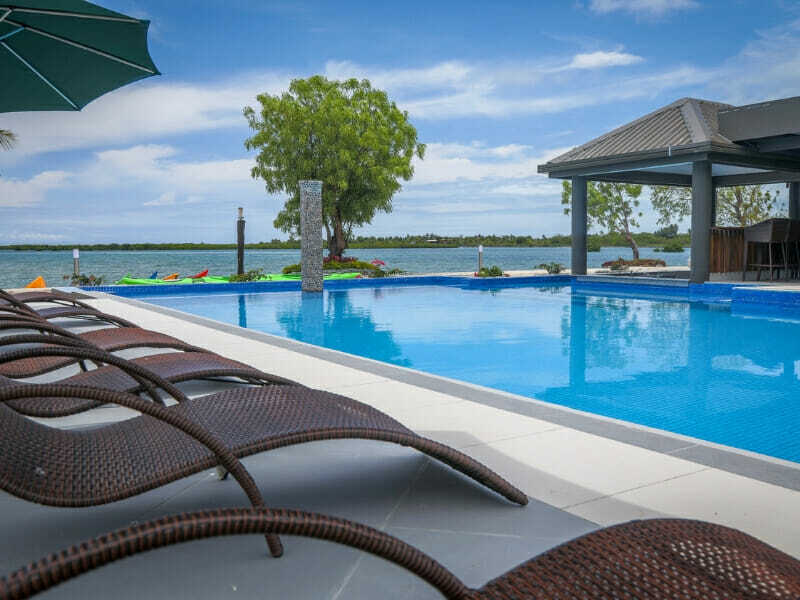 Denarau Island and marina is less than half an hour away so, if you’ve arranged tours out to surrounding islands or other resorts, this is the ideal place to stay! Perfect, peaceful retreat! Ideal for two looking to unwind but was still really close to Denarau for all the tours we’d prearranged. We stayed just after the resort opened and I predict it will become extremely popular fast!